A ladder needs to be strong and reliable when you are using it, you need to know that you won't risk injury and you can get your job done efficiently. Our extra heavy duty British standard ladders are suitable for indoor and outdoor use - they allow you to ascend and descend, quickly and safely. The ladders are made from aluminium making them durable and lightweight allowing you to easily take them with you if you work at different locations. Featuring precise rung-by-rung adjustment, the serrated rungs are fitted through stiles at a standard rise of 250mm and the serrated rubber feet give them extra stability. 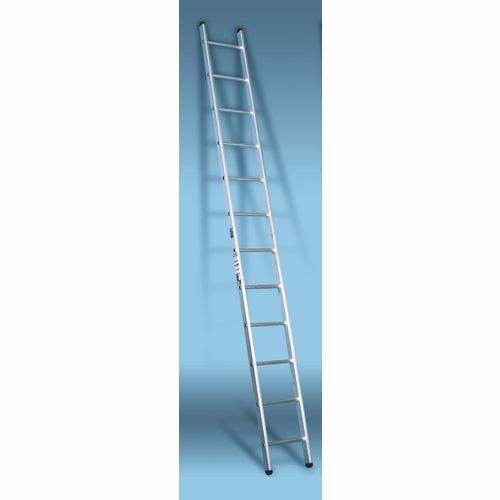 Manufactured to British Standard 2037-1994 Class 1 for heavy duty industrial use these ladders will stand the test of time, these are products you can rely on to assist you in completing your work. Our ladders are ideal for extra heavy duty work, they are available in 7 lengths; 3.05m, 3.55m, 4.05m, 4.55m, 5.05m, 6.05m and 7.05m - with a 12 month guarantee and FREE UK Delivery.